Scientists at The Australian National University (ANU) are helping to improve understanding of how rocks in Earth's hot, deep interior enable the motions of tectonic plates, which regulate the water cycle that is critical for a habitable planet. Research team leader Professor Ian Jackson said tectonic plates were continuously created at mid-ocean ridges and destroyed when they sink back into the Earth's mantle. "Plate tectonics is responsible for diverse geological phenomena including continental drift, mountain building and the occurrence of volcanoes and earthquakes," said Professor Jackson from the ANU Research School of Earth Sciences. The stirring of the Earth's interior, which is responsible for the plate motions at the surface, has resulted in the Earth's gradual cooling over its 4.5 billion-year life. He said defects allowed the normally strong and hard minerals of the Earth's deep interior to change their shape and flow like viscous fluid on geological timescales. "We have found that flaws in the regular atomic packing in the dominant upper-mantle mineral, called olivine, that become more prevalent under oxidising conditions, substantially reduce the speeds of seismic waves," Professor Jackson said. Seismic waves, caused by earthquakes, are used to image the Earth's deep interior in a manner similar to medical CAT scanning. "Our new findings challenge a long-held theory that defects involving water absorption in these normally dry rocks could control both their viscosity and seismic properties," Professor Jackson said. 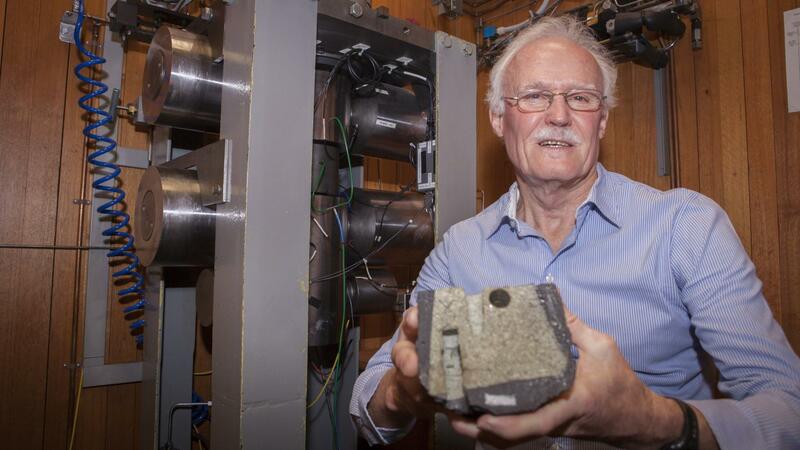 The team used specialised equipment in a laboratory at ANU to make synthetic specimens similar to upper mantle rocks and measured their rigidity, which controls seismic wave speeds, under conditions simulating those of the Earth's mantle. Professor Jackson said the research was particularly relevant to environments where old, cold, and oxidised tectonic plates sink into the Earth's hot interior. "We have the potential to help map the extent of oxidised regions of the Earth's mantle that play such an important role in the chemical evolution of Earth," he said. For media assistance, contact Will Wright from the ANU Media Team on +61 2 6125 7979, +61 478 337 740 or at [email protected]>.